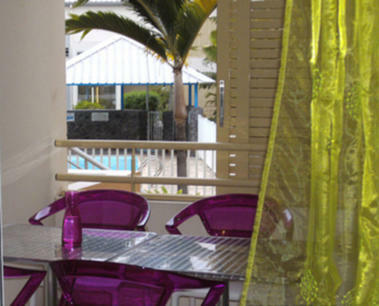 Le Meublé Lambert, in Saint-Gilles-les-Bains, offers a furnished one-bedroom apartment located in the seaside resort of L'Ermitage. 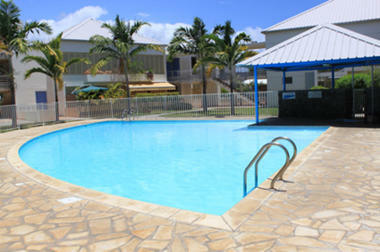 300 m from the beach, in a secure luxury block, with communal swimming pool. The furnished apartment has an air-conditioned double room, air-conditioned living room with sofa bed (sleeps 2 people), LCD screen TV and DVD, American-style kitchen and covered terrace overlooking the pool.